No matter who you are or what your eventual end goal is, you are limiting your options by not knowing how to properly ship a Magic card. Now there are some things you can do to make a package special. The most important thing is to make sure you are shipping something that doesn’t damage the cards. Too many times I’ve received very makeshift packages that people got lucky and survived the mail system. While some of these points will be specific to people living in the United States, packaging is something that is universally lacking. Ostensibly, you need a lot of things to mail a good secure package but the reality is that it’s not nearly as much as you think. 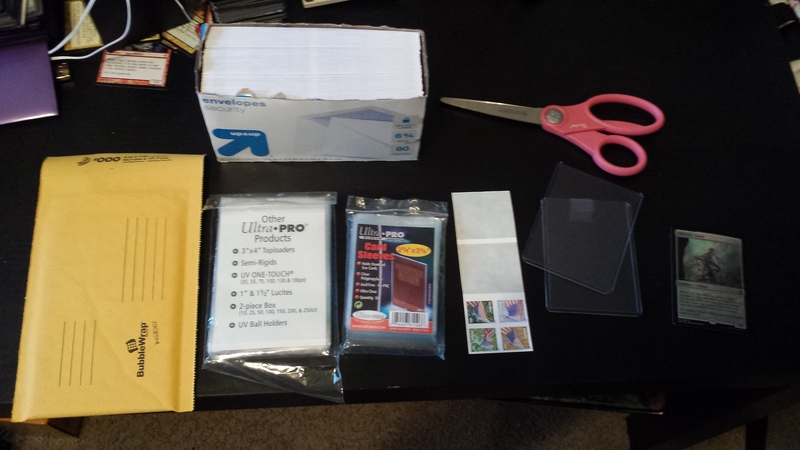 Here is my basic set of tools to send out cards. A box of envelopes, a scissor, a bubble mailer, team bags, penny sleeves, stamps, toploaders, and the card I’m mailing. Depending on where you purchase all of these things, you shouldn’t end up paying more than $20 or so to start up. I’m sure some people are familiar with most of these things, but not with mailing best practices. Let’s take it from the top. I prefer to buy size 6 3/4 envelopes (9.2cm x 16.5cm) due to their size. They are large enough for a few cards to fit comfortably but not too large that a loose toploader will move around a lot and rip the envelope. Outside of this there are many varieties of envelopes but the most basic security lined envelopes cost you somewhere in the ballpark of $0.03 each. Penny sleeves, as the name implies, are usually about 100 for $1 (or $0.01 each) and are where the process starts. The first step is for small orders (1-2 cards) put the cards upside down into the sleeve. Theoretically which side is up doesn’t matter that much but it makes it easier to explain the later steps. After you put it into the sleeve, fold the open side over to create a small flap. Penny sleeves should be larger than your card and if you can’t make a nice fold then there are probably too many cards in the sleeve. 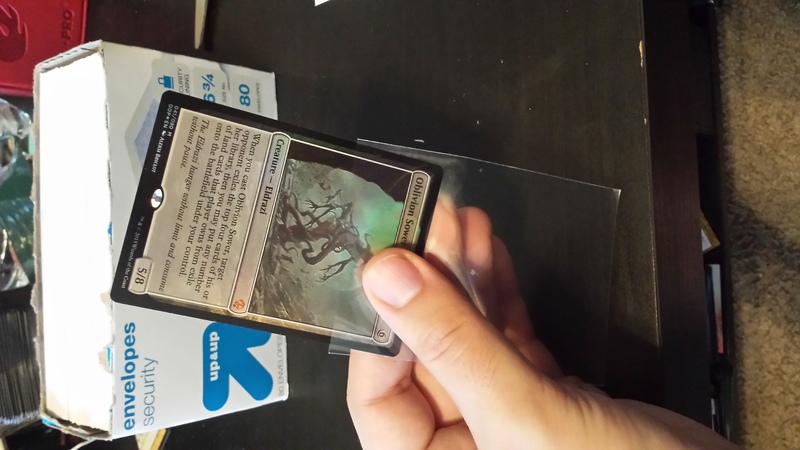 Put the sleeve into a toploader with the folded side entering first. 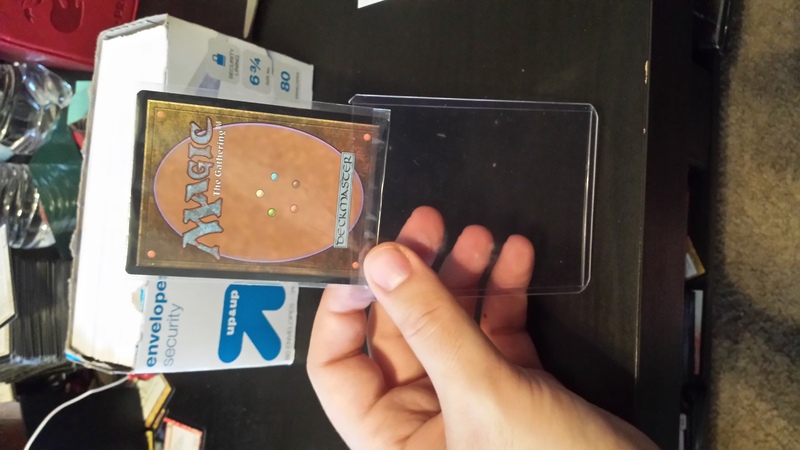 This will ensure the card doesn’t move around much in the sleeve and get dinged up by the toploader. 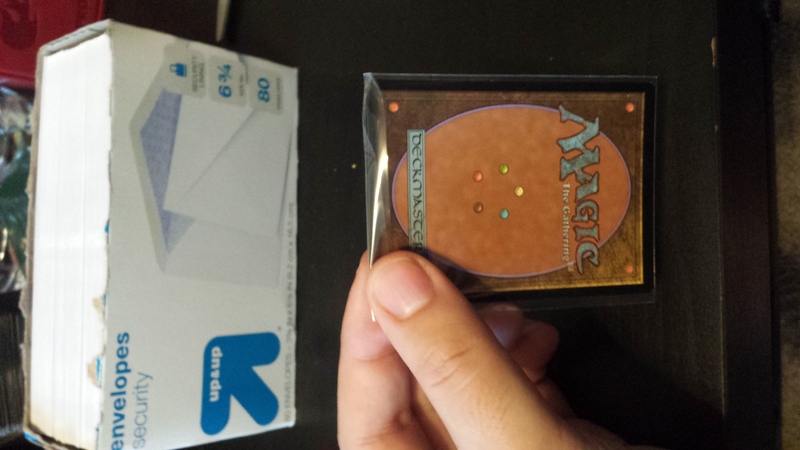 It also provides some tension to keep the card from sliding out of the toploader after being mailed. After you finish you should be able to shake the toploader and see little to no movement in the card. Now you may also notice the fit is pretty tight. You probably can’t fit a whole playset of cards into this, so what do we do? Start the same way, put the 4 cards into the penny sleeve upside down. But here’s where this mysterious “team bag” thing comes in. Team bags are pretty large self sealing sleeves. They’re called team bags because sports stores use them to make bags of the same team. Rocket science, right? 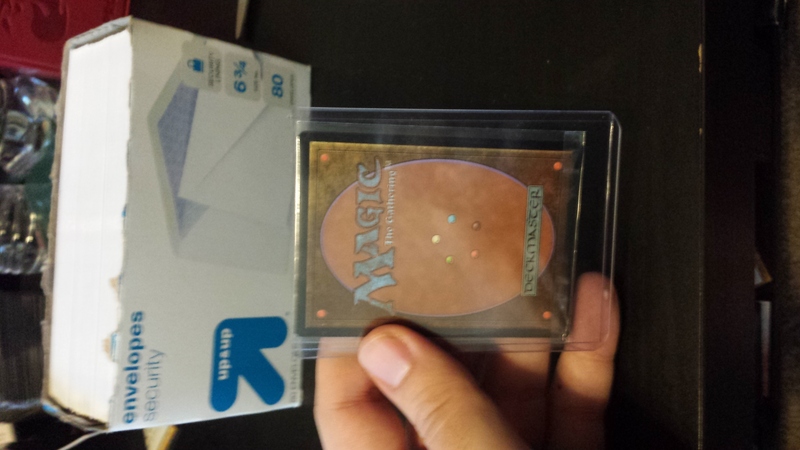 Well it’s nice because it snugly fits all of our cards and our toploader without having to squeeze them into it. Team bags allow you the storage of a large plastic sleeve while keeping the rigidness of a toploader. I recommend this for 4-8 cards. Now to finish it all off, put a Post-it note on the sealed team bag with your order number or PucaTrade number and you have one nice package. 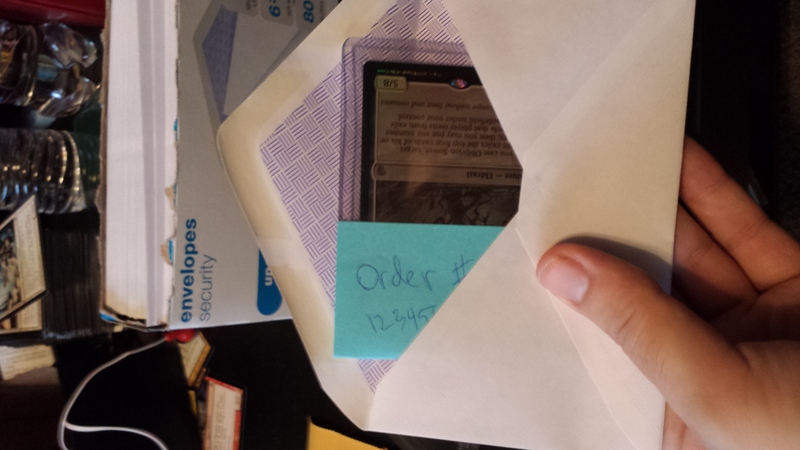 For single toploader envelopes, you can fold the post-it over the open end of the toploader to keep the card inside. What is the point of all these weird procedures? To minimize the amount of tape you put on everything. 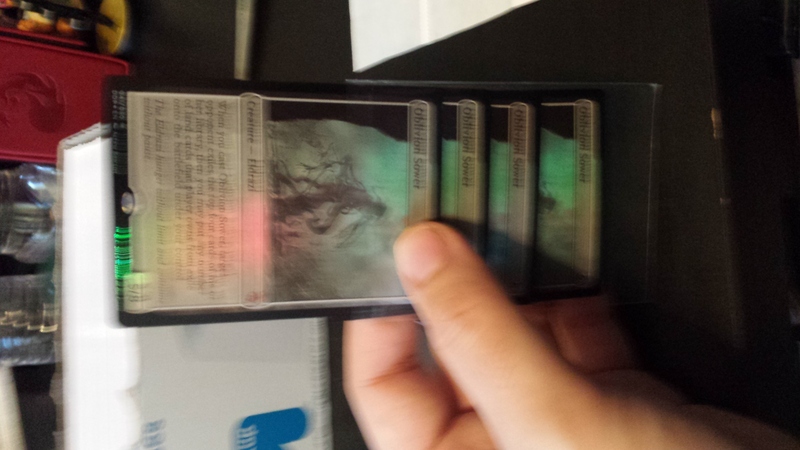 It’s a pretty big waste most of the time and gets the toploader all sticky for the next person. 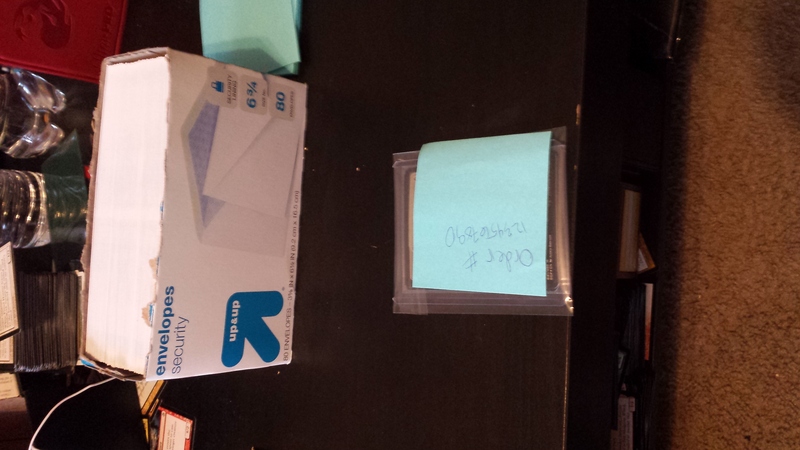 Ideally you will reuse the toploaders you get sent to save money and I’d rather my recipient to not need to clean off the tape after they receive my card. After you’ve finished packaging your envelope you can address the front and slap a Forever stamp on it and it’s ready to be dropped into a local mailbox. Theoretically, the cheapest you can send a card is $0.53 to $0.56. That’s pretty cheap but sometimes you want more protection for a valuable card. Most bubble mailers can be available for $0.50 but the real extra cost here is in the shipping and time commitment to go to the post office to get tracking. Unless you use the fantastic Paypal shipping service. Here is a link to the Paypal shipping service. It allows you to pay with your Paypal account (you must have a Paypal account to use this service) for a label that you can print out and tape to the bubble mailer. This saves money (it’s actually cheaper than the Post Office) and tons of time (you don’t have to go to the Post Office to mail it). I generally choose to ship the cheapest way with tracking. This is USPS First class thick envelope that weighs 3oz. That’s typically enough for a small bubble mailer and packaging for up to 10 cards in a team bag. Shipping this way ends up costing $2.04 for shipping inside the US plus materials ( ~$0.56). I’m glad you asked reader! Well I’ve got another cheat code for you, enter Potomac Distribution. Unfortunately this site will only ship products within the US but you can save a ton of money by buying in bulk. You can find smaller quantities for close to retail but you start saving a lot once you hit case size quantities. While this is not an option for everyone if you do decide to get into Pucatrade or selling on TCGPlayer you can save a lot of money by buying in bulk. 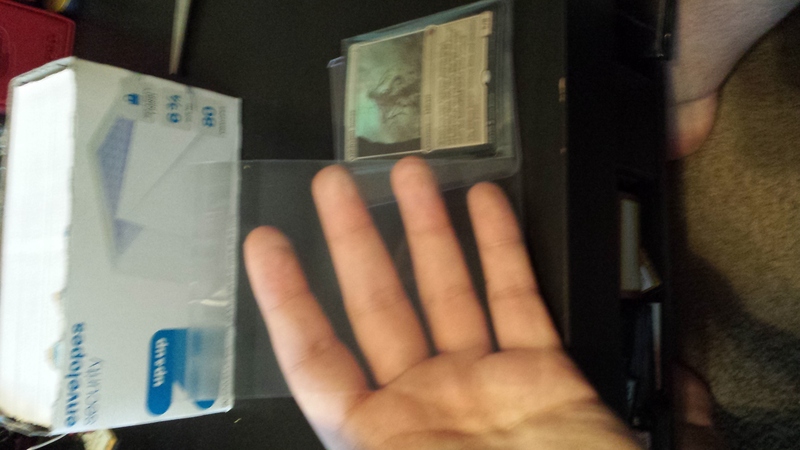 Unlike food, sleeves don’t spoil. You can also find cases of KMC and Dragonshield sleeves for much cheaper than usual. Splitting a case with friends can yield up to a 30% savings. 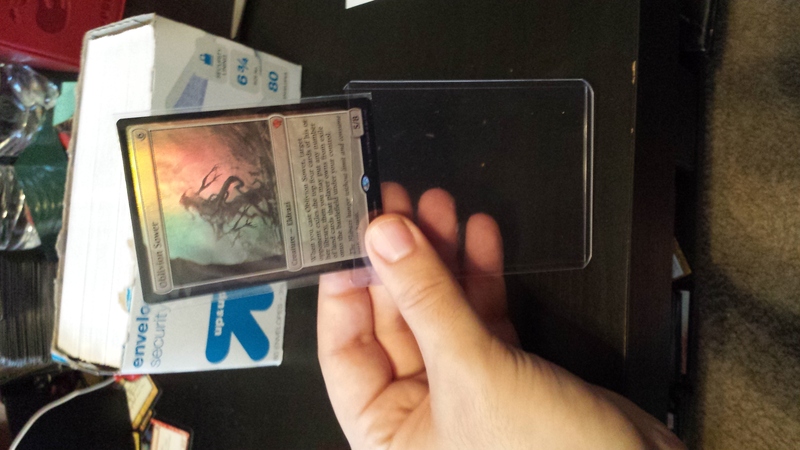 For smaller quantities, you can find singleton packs of these sleeves at your LGS or on Amazon. 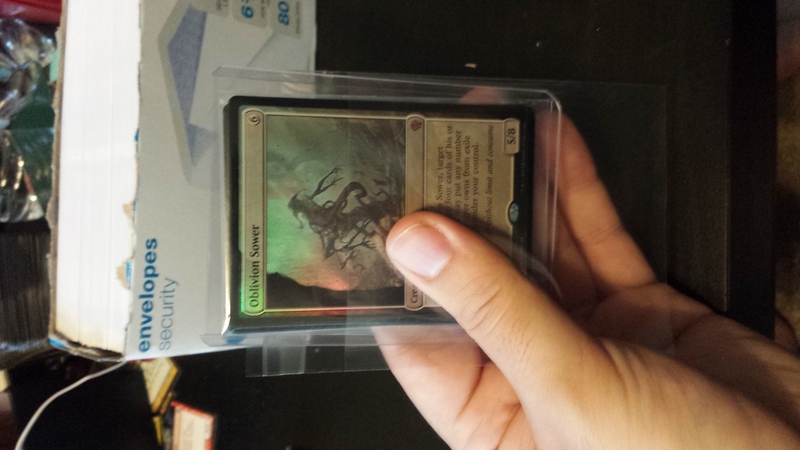 While I didn’t plan it this way, Oblivion Sower is probably a card to be on the look out for. 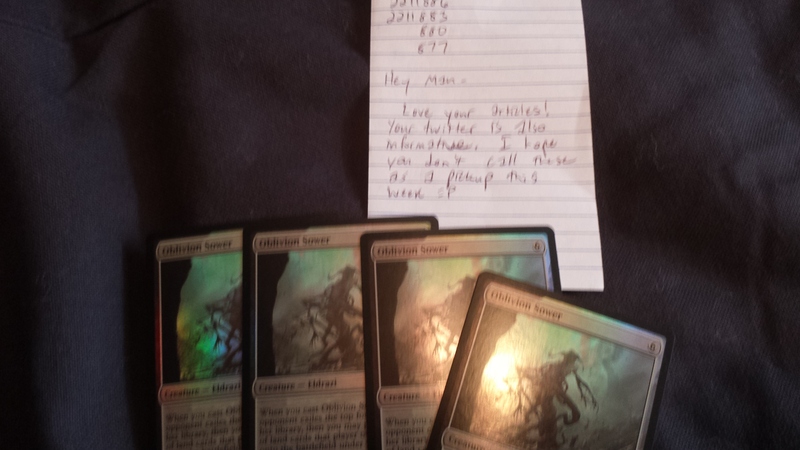 Contrary to what the note I received was, I requested these Sowers 3 weeks ago. After our roving reporter in the field, Jeremy, reported yesterday, a buyout is indicative of probable Pro Tour play. 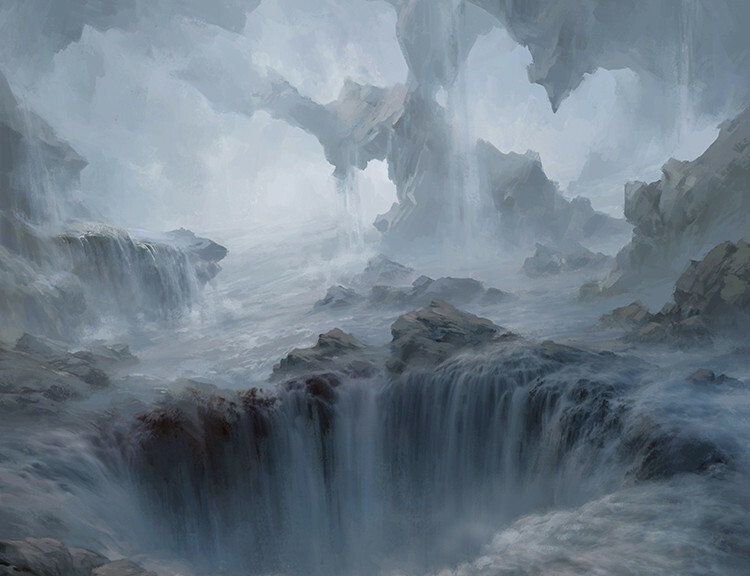 Expeditions are probably nearing their lowest price unless we see Pro Tour decks with 8+ Mythics from Battle for Zendikar. Unless something usurps Mantis Rider, I expect the same of it this weekend. Dragonlord Ojutai saw double digit growth over the weekend ( I literally bought one for $15 on Friday and cant find one less than $30 right now) despite a poor showing at SCG Atlanta. I am curious as to why that is. Maybe he will be a Pro Tour powerhouse. Dispel is a maindeck worth card in Standard. I would look to powerful sorcery speed removal for the future. Arrgh! Please please please, cut down your image size before posting them. It was painful to watch this page load. are you on dial up? Sower of Temptation buyout for the PT? Wow! That will really warp the format. A mistake was made. A sower of temptation was on my desk when I was writing this. The paypal shipping looks like it will come in handy, but is there an option for tracking? It’s required for some sales on TCG. The Paypal Shipping system doesn’t NOT do tracking, so far as I’m aware. paypal.com/shipnow absolutely has tracking info, in addition to being cheaper and easier to use than USPS website. International tracking (except for Canada and maybe Mexico) ends once it leaves the country. It does have a tracking number for packages in the US and Canada. International packages require being dropped off at the post office, however. Personal preference w 1-3 cards is to put in penny sleeve, then load into top loader. take the unsealed lip of the Penny sleeve and fold it over the lip of the top loader with a piece of scotch tape (do NOT use shipping tape). This holds the card steady, keeps it from coming out of top loader, and provides an easy release mechanism for the receiver. Can you let someone from Europe make this kind of article? I’ve made a similar article (not focusing on packaging, but a quick glance on it) on pucatrade, i believe it was named trading overseas. RE: toploader moving around in the envelope…I use double stick tape on both sides of toploader then attach to inside of envelope. Voila! Toploader stays put.